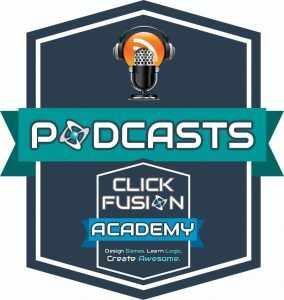 In this solo podcast I talk about people finishing their game development or app development projects in Clickteam Fusion 2.5. I briefly touch on the amount of users Fusion has compared to how many WIP or completed projects you see. 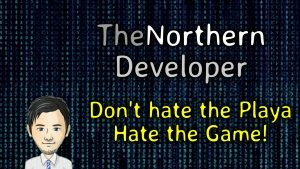 I also discuss Spryke by Volnaiskra (www.SprykeGame.com) and I also touch on the ClickFusion Academy and a few surprises that are in store. Also check out the VolProfiler on the ClickStore. I am working crazy hard on Super Bombardier right now…might be your cup of tea. Making a game is such a huge endeavour. Making a good one that you hope will stand a chance in a crowded marketplace is much huger still. I’ve probably spent some 8000 hours on Spryke already, and there’s plenty still to go. As you say Danny, morale is a really key issue. On such a long project, it’s inevitable that morale will come and go. I’ve had times of elation and hyper-motivation, and also of despondency and even depression. Honestly, I think that if I was working on Spryke as a side project in my spare time, it would never have seen the light of day. The fact that I quit my job to make it, risking my livelihood and to some degree my sense of self-worth on it, has more or less forced me to keep going even in those periods where morale is low. That is a big reason why many games don’t reach the finish line, in my opinion. If you allow yourself backup plans and exit strategies, then eventually fear of drowning, or boredom, or fatigue, will catch up with you and you’ll turn around and swim home. For me, because I’ve gone out on such a limb, failure is not an option. That doesn’t mean that I won’t fail, but it means that I only have two choices: to succeed, or to die trying. Giving up before the finish line just isn’t an option, because of how much I have invested into this: time, money, spirit, ego, even my family’s livelihood. My all-or-nothing, head-first approach is hardly the most sensible and responsible approach. But it’s also the reason I’ve come this far. Without it, I probably would have given up when the going got tough or when life got in the way, and my chances of achieving my dream would have eventually fizzled out. Even if you don’t go all out and quit your job to make a game, I think it’s helpful to do anything that increases your accountability: share your work publically, commit to exhibiting at your nearest games conference, buy a domain name and make a website for your game, tell your friends and family about your aspirations, etc. Really interesting podcast. I agree that Clickteam community is something special. When any member succeeds it feels like gain for all of us, so people are really supportive and helpful. About games, maybe I am one of those people that is hiding in the shadows but I already know the game I am trying to make is nothing groundbreaking. I also don’t want to share anything because I don’t even know if it will be finished.